Boston Common has a robust engagement program that spans over a decade in Asia. Our Japanese company engagement has shifted expectations from developing awareness and policies to establishing ESG metrics and targets and assessing the impact of companies’ policies. Over the past four years we have expanded our engagement under the Asian Corporate Governance Association (ACGA) to meet with regulators and industry groups. Investors feel more effort is required to raise Japanese corporate governance practices to be in line with global peers. While Japan has made some progress toward better ESG practices and disclosure to support corporate governance and long-term growth prospects, more work is required to accelerate the pace of change. Support from foreign investors has clearly influenced Japanese companies’ progress on ESG practices. Our integrated ESG Investment team has established a robust engagement program in Japan over the past eight years, given our significant portfolio exposure in the country. We monitor key corporate governance and stewardship trends, and engage actively with key regulatory and industry groups, in addition to our portfolio companies. Mandatory disclosure has increased on issues such as board effectiveness and evaluation under Japan’s Corporate Governance Code, which was updated in 2015. Gender diversity goal-setting has also advanced; but we have yet to see a substantial improvement in the number of women on corporate boards and in senior executive and management positions. As of July 2017, more than 1,800 companies listed on the Tokyo Stock Exchange (TSE) have conducted a board evaluation—up from only 52 just two years ago. However, these companies have primarily used self-evaluation versus an external facilitator. Japan’s Stewardship Code (revised in 2017) takes a more principles based approach to encourage more formal investor-company dialogue and collaborative engagement among domestic investors; it also requires more robust proxy voting and disclosure by Japanese pension funds. Currently, more than 200 institutional investors – a majority of which are Japanese – have signed the Revised Stewardship Code. This requires them to report to the Financial Service Agency (FSA) on proxy voting and corporate engagement activities. Additionally, twenty-six pension funds, including GPIF and the Pension Fund Association for Local Government Officials, also have mandated endorsement of the Stewardship Code by their asset managers. On her in-person field visit to Japan in March, Lauren Compere, Director of Shareowner Engagement met with five portfolio companies, including Astellas, Kao, Orix, Panasonic, and Shiseido. Each company agenda was linked to material ESG risks and opportunities, with a focus on assessing progress on previous recommendations from 2016 meetings. We had common questions across all the dialogues in the areas of: board diversity and evaluation, the governance of sustainability, advancement of women in the workplace, responsible sourcing, and the results and potential next steps related to their 2017 CDP responses. We were encouraged to see companies’ interest in the Sustainable Development Goals (SDGs) and Integrated Reporting (IR). Japan has the second highest number of IR reporters at over 300. More companies are adopting Science-based Targets (SBTs) to address their carbon footprint. Panasonic joined the Women’s Empowerment Principles and adding to their human capital management programs with training programs on sexual harassment and LGBT awareness. However, companies lacked awareness of the Taskforce on Climate-related Financial Disclosure (TCFD) and continued to face challenges in the promotion of women into management. Lack of access to sufficient daycare and nursing facilities continue to prevent mothers from returning to work sooner. The number of Japanese women participating in the labor force now exceeds the OECD average, but progress has been slow in increasing their participation at the management level, despite Japan’s 2015 Woman Advancement Act. Encouragingly, woman on corporate boards in Japan now exceeds over 900 in 2017, up from just over 100 in 2011. Given the rising numbers of Karoshi or “death by overwork” in Japan including last year at advertising company Dentsu, we also prioritized efforts by companies to tackle this critical employment issue. Kao and Panasonic have begun shutting off lights and electricity at 8 PM to encourage employees to go home, as well as promoting “early leave” Fridays. We asked new questions of companies on their awareness of the Sustainable Development Goals (SDGs) and the Taskforce on Climate Related Financial Disclosures (TCFD). We continued to explore how communication with corporate boards on ESG matters happens, and we asked how each board conducts its required evaluation process. Over the past few years, we have shifted expectations from developing awareness and policies to establishing ESG metrics and targets and assessing the impact of companies’ policies. We focused on supply chain traceability and transparency in most meetings—especially with Kao and Shiseido on sustainable palm oil and FSC certified paper and pulp. With Panasonic, we focused our discussion on responsible sourcing on cobalt and lithium. With Orix, we prioritized questions on responsible lending and how the company embeds climate risk and seeks opportunities to support the low-carbon transition. Orix has engaged with us for the last three years under our “Banking on a Low-Carbon Future” initiative. We continue to encourage the company to establish more robust, sector-specific guidelines related to high-carbon sectors. We also expressed some concern about their involvement in two biomass co-generation plants, which can burn either coal or biofuel, such as wood chips. Orix has scored consistently low on their CDP carbon survey. We recommended that the company review the TCFD guidance to inform its risk assessment and disclosure process for its 2018 response; the 2018 CDP carbon survey for all sectors, except finance, will be 100% aligned with TCFD. In each meeting, we focused on companies’ current CDP scores across carbon, water, and forests and supply chains, if they participated. In the case of CDP carbon, we balanced our discussions by commending companies on progress, such as adopting Science-based Targets (SBTs), while we encouraged broader adoption of internal carbon pricing and renewable energy targets. We also challenged companies to work with suppliers to increase the level of disclosure in their financial reports. Japan is the only G7 country with plans to expand its coal infrastructure—as a replacement for nuclear energy—including building 40 new coal-fired power plants by 2040, 25 of which are still in the planning stage. Boston Common co-convened with the Growald Family Fund its third investor dialogue in the past six months in Tokyo: “Investor Dialogue: Japan’s Low Carbon Transition & Energy Policy” attended by Japanese and foreign investors and other stakeholders. We were delighted to have expert presentations by Ms. Ayumi Goto, Program Manager of the Institute for Global Environmental Strategies (IGES) and Ms. Mika Ohbayashi, Director of the Renewable Energy Institute (REI) on Japan’s current energy policy and the role foreign investors could play in influencing this trajectory. This Chatham House rule discussion was held to help inform the questions foreign investors could ask of Japanese companies related to: energy use, sourcing and support of more energy efficiency, renewable energy efforts, and related government policy engagement. Next steps include potential new research by REI and IGES and more investor engagement strategies with companies and other stakeholders to influence the discussion on Japan’s climate preparedness aligned with the goals of the Paris Agreement. As a signatory to the Climate Action 100+, Boston Common has also joined a regional investor group under this initiative to engage a select group of Japanese companies. As part of an investor delegation organized by the Asian Corporate Governance Association (ACGA), Lauren met with regulators and industry groups to discuss the effectiveness of current corporate governance regulation. Investors feel more effort is required to raise Japanese corporate governance practices to be in line with global peers. These meetings included the Tokyo Stock Exchange (TSE), Keidanren, Institutional Investors Collective Engagement Forum (IICEF), the Financial Service Agency (FSA) and the Ministry of Economy, Trade and Industry (METI). The regulatory backdrop which supported these meetings includes: Revisions to Japan’s Corporate Governance Code, Japan’s Stewardship Code implementation, Company-Investor Dialogue, Guidance on Collaborative Engagement in Japan, Company Reporting on Corporate Governance and ESG Issues, and English language disclosure. Foreign investors hope to see boards move from operational functionality to more strategic and supervisory oversight. Companies adopted auditing and supervisory committees with an intention to support this move, but questions remain about the effectiveness of this new board structure. The investor delegation also sought to clarify the definition of board independence and supported efforts to increase diversity, including gender and independent board members. We expressed the desire to see a more robust selection process for directors by empowering nominations committees and using a skills matrix. Boston Common highlighted the need for more board training related to ESG risks, such as climate change and human rights. More specifically, we raised the issue of TCFD support by these agencies and related training for companies, and we shared our support for the continued implementation by TSE and METI of its Nadeshiko brand to improve corporate practices related to working women and work/life balance. Other governance issues, including making shareholder meetings more accessible by spreading out the meeting schedule beyond June, arose during these meeting. There is an ongoing need to unravel cross-holdings between companies and increase capital efficiency. A new TSE rule now requires Japanese companies to disclose outside advisors/consultants deemed “Honorary Chairman” or Sodanyaku/Komon including their roles and whether they are compensated. Currently, over 70% of companies employ Honorary Chairmen–over 25% of which have four or more than a third serving for longer than three years. In general, these positions are held by former CEOs or other senior executives and can be lifetime commitments. They are generally not compensated with money but with privileges, such as an office, company car, and a secretary. The underlying corporate culture presents potential conflicts of interest represented by cross-holdings and former-CEO influence with boards and senior management. Regulators such as the FSA and METI have made concerted efforts to raise the level of governance practices through enhanced disclosure and listing requirements, as well as voluntary initiatives, such as the Stewardship Code. 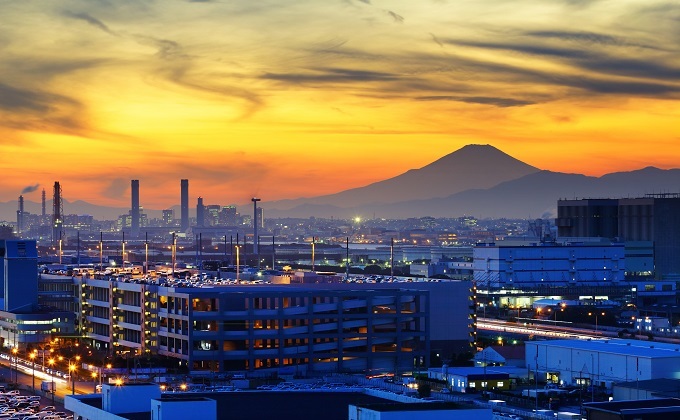 While Japan has made some progress toward better ESG practices and disclosure to support corporate governance and long-term growth prospects, more work is required to accelerate the pace of change. Support from foreign investors has clearly influenced Japanese companies’ progress on ESG practices. We will continue to engage our portfolio companies individually, as well as in coalitions with other foreign investors (such as the ACGA) to amplify our voice with Japanese companies, regulators and industry groups.